This year has been a year of firsts for us. Jason and I bought our first home and welcomed our first child into the world. I became a working mommy and Jason ended up becoming a stay at home dad. We also decided to leave Midway and join Fuel Community Church with so many others that we are connected with. This year has been a good one. I said goodbye to last school year which was awful and welcomed a new one which hasn't been too shabby. We've watched for an entire year our baby boy grow and learn and discover the world around him. It has also been one of loss for many, including us. First it was Bubba Monroe, a member of our church, then our neighbor across the street passed from surgery complications, the neighbor I lived next to for 17 years died for very different reasons, and then a friend from high school died suddenly and tragically. Four deaths...but this year also brought four new little guys into the world. First was Preston, my nephew. Then was my amazing son, Gabriel. Then was my friend Charisse's adorable little guy, Anson and just a month or so ago was my friend Ciara's handsome new addition, Josiah. Others were born too but these are the ones I consider myself closest too. Gabriel has spent time with both sets of great grandparents on my side (something not many kids are lucky enough to do). They are in love with him and I think the feeling is mutual. In just the last month or so, Gabriel has learned to wave, clap, blow raspberries, stand on his own without pulling himself up and is getting steadier on his feet. We spent our first Christmas with him in Alabama with my grandparents, my mom, and her roomie. He enjoyed it and it was nice to spend time in a place that holds so many special memories for me. 1. Read through the Bible completely. 2. Spend quiet time with God daily. 4. Get some form of exercise daily. 5. Eat healthier, count calories, and treat my body like the temple of God. 6. Keep my house clean and get organized. 7. Get out of credit card debt and save money. 8. Set aside at least one night a month to do something special with my husband (babysitter required). 9. Take more pictures - of Gabriel and us and everyone. 10. Be more positive. Smile more. Don't take life so seriously. Find the good in every person that drives me crazy. Pray. Give. Be kind. Laugh. Be who I was and am created to be. Bonus goals: Finish my book! I will accomplish these goals in 2012. These are long term and will last all year. I will not give up. If I falter or fall, I will get back up. I am claiming 2012 as the year I do what I was meant to do. I will not fail. I will not listen to Satan's lies. I can and will do all these things through Christ because He alone gives me strength. I will succeed. Goodbye, 2011. 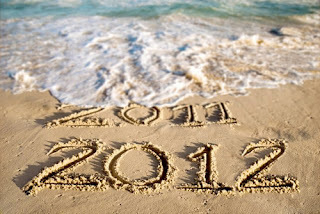 Look out, 2012! My oh my has it ever been a busy couple of weeks! I feel like it's been FOREVER since I've updated. Christmas break begins today and I could not be more ready for it. I love my students but sometimes they DRIVE ME CRAZY!!! Tonight I'm going out with a ton of co-workers to Outback. Should be good times! So much I want to say..
A few weeks ago, we started meeting with the new church plant. Yes, we did decide to join with the men from our previous church. We're meeting at one of the men's houses and it has been absolutely awesome. We have totally and completely caught the vision - reaching the lost of Lakeland and beyond and loving them right where they're at. We're not concerned about making money for the church itself but using that money to help those in need. Case in point - the ENTIRE offering Sunday night (that's when we meet) went to a family with an 18 month old with Leukemia. That's what it's all about...simply being "all in, souled out, and fueled up!" So, Sunday will be my last official day at Midway. I committed to the Christmas special so I stayed to do that but after Sunday, we will officially leave. I still love the people there and it absolutely has nothing to do with anyone personally but we just prayed and felt God pulling us to FUEL. In God's timing, the building will be in North Lakeland (right where we live) but we're not worried about a building right now. We're concerned with reaching people for Christ. I've started writing a new book. I really like where I'm headed with it and can't wait to see how it turns out. I just wish I had a nice space to work at. Right now I'm using the computer that's hooked to our big screen. Nice 52 inch monitor but I'd rather have a cozy little haven to work in where I can keep my stuff organized and can write and type and not monopolize the TV. Hubby has a possible job opportunity with CSX - the railroad. This job would mean a world of difference to our family financially so we are praying hard that he gets it. It would allow us to pay off debt, fix up the house, GIVE! We both have such a heart to give but just don't have it. I was worried about child care but have been emailing back and forth with a sweet woman who is starting one here in north Lakeland. She seems great and we have an appointment for a private tour of her home daycare on January 7th. Her prices are very close to regular daycare costs BUT I can have the peace of mind that he is being given the proper attention because she will only have 8 kids at maximum. Her philosophies and eveything that I have read sound awesome! And the cost won't be an issue AT ALL if he gets this job. So pray, pray, pray! If When he gets this job, after we pay off debt and save up some money, I will probably take a year or two or more off to stay home with Gabe, focus on my writing, and hopefully be able to homeschool when that time comes. Well, I'm going to try and get some stuff cleaned up around here before my hubby and baby boy get home. MERRY CHRISTMAS!